QUENTIN SHIH (a.k.a. 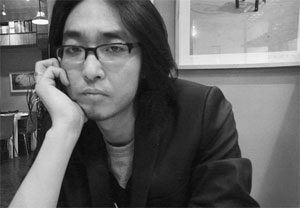 SHI XIAOFAN), born in Tianjin, China in 1975, lives and works as a camera artist / film maker between New York and Beijing. A self-taught photographer, he began to shoot photos in college for local underground musicians and artists. After graduation, he came to Beijing to develop his career as a professional photographer/artist. From 2000 to 2002, he participated in exhibitions in China and America with his fine art photographic works and his works have been collected by American museums, such as the Danforth Museum of Art and the Worcester Art Museum. During the last few years, he has been producing work for top commercial clients and international publications such as Adidas, Microsoft, Sony, Siemens, Vogue, Harper’s Bazaar and Esquire. His advertising campaigns work have won numerous prestigious international advertising and photography awards. In 2007, Quentin was named ‘Photographer of the Year’ by Esquire Magazine (China). In the following years, he joined lots group exhibitions and solo exhibitions in China, Europe, Southeast Asia and United States. 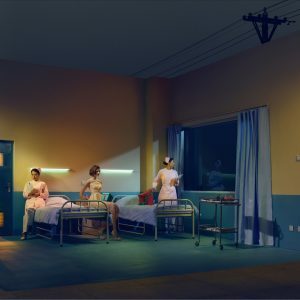 As one of the leading Chinese photographers, Quentin Shih is well recognized for his individual artistic style which utilizes vast sets and dramatic lighting to engage in emotional narratives. Now, he is returning to his roots in fine art photography and challenging its techniques and concepts into his commercial and fashion photography in order to achieve a unique symbiosis.At the same time, he is also working on his film projects, A Parisian Movie (2011) was his first short movie shot in Paris, France.